For those other rose bushes, I opted for an organic alternative provided by an online supplier: a horticultural soft soap contact insecticide solution which is diluted in water then sprayed onto the affected areas, and repeated until results are noticed. The solution acts as a gooey deterrent. On another occasion, I even ordered a box of live ladybirds from Scarletts which I released inside the bush itself, as per instructions. The operation was a tad volatile - shall we say - as I had difficulty in securing the opened box within the bush and also coercing the ladybirds to remain on the bush rather than fly away to greener pastures! Another method I have used, more drastic and with a varying level of success was to trim down the affected bush, removing the contaminated branches, plunging them in a bucket of diluted household cleaner solution (the chemical interference, I concede) to kill off the aphids before disposing safely to avoid cross-contamination. All things considered, the chives’ preventative influence remains by far the easiest, less stressful and less messy option. Garden pests do not only refer to weeds or bugs, but also to animal pets… I am not a cat owner but on a few occasions my garden has turned into a cat social club, with the felines using areas of freshly dug-up soil as a toilet. Meanwhile I had read a magazine review praising a totally safe and chemical-free method which thankfully would get rid of the nuisance. The product is called ‘Silent Roar’, and is made up of round pellets coated in lion dung. This may not sound like your average deterrent, but it does the trick, albeit not instantly. You are required to clean the soiled area first, then, wearing the gloves provided, sprinkle the pellets, and let them work the charm! Repeat the operation until the area is no longer soiled. Those pesky cats will realise soon enough (although this may take 2-3 weeks!) that a much bigger cat has made the patch his territory, and they will end up deserting it. Finally, my gallery of organic ideas wouldn’t be complete without a few fertilizing tips that won't cost the earth. Having read and heard from different sources that infused/ percolated, loose tea and ground coffee make good plant fertilisers, I sprinkle them at the foot of my garden and indoor plants alike. 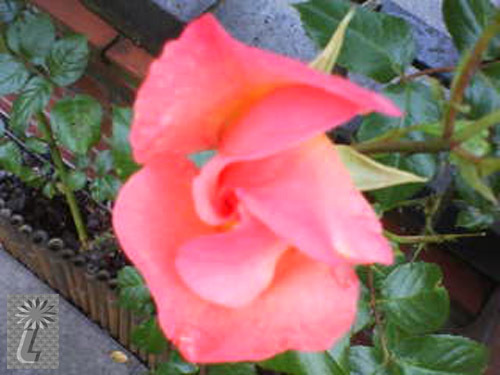 Banana skins are a good fortifier and source of potassium for rose bushes: just leave at the foot. Crushed eggshell will provide calcium to your indoor cacti. 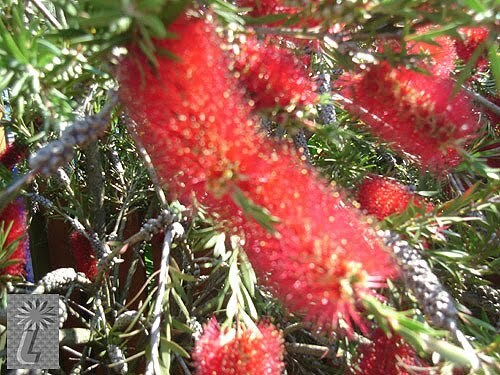 ... and my amazing Callistemon in my South-facing back garden! I believe that gardening should be fun. I also believe that it should be chemical-free. We interfere with nature enough as it is so, while we are playing god with our little vegetal cosmos, why not let nature do its course and work its wonders, with a gentle help of common sense and earth-friendly methods? It is easier than we think.